England have enlisted the help of a Scottish coach to help fine-tune their strikers before Saturday's World Cup qualifier at Hampden Park. Allan Russell, who counts Hamilton, St Mirren, Airdrie and Kilmarnock among his former clubs, has been working with England's forwards this week. The 36-year-old describes himself as the "world's number one striker specific coach" on his website. He lists Rangers' Martyn Waghorn and Stoke's Saido Berahino as clients. Others include Burnley's Andre Gray, Newcastle's Serbian striker Aleksandar Mitrović and Portugal's Euro 2016 final match-winner Eder. It is understood Russell is being used by the Football Association as a consultant on an ad hoc basis, working across the age groups, coaching both men's and women's teams. His Glaswegian accent was audible at England's St George's Park base as he focused on finishing with the likes of Harry Kane, Jermaine Defoe, Marcus Rashford and Raheem Sterling. The former striker was also involved in March, when manager Gareth Southgate's permanent reign began with a 1-0 friendly loss to Germany, before a 2-0 win against Lithuania at Wembley. Glasgow-born Russell was in Rangers' youth set-up and began his senior career at Hamilton before moving on to St Mirren and then having spells at Macclesfield, Mansfield and Forest Green south of the border. 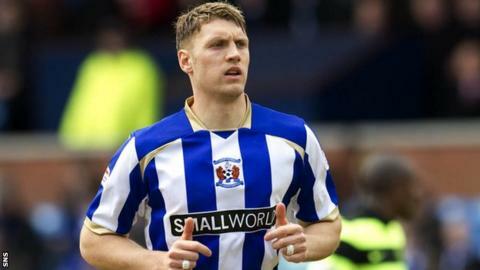 He enjoyed a modest scoring record and returned to Scottish football with Partick Thistle in 2007 before one prolific season with Airdrie - 26 goals in 43 games - saw him win the Player of the Year award in the Scottish Football League Second Division (third tier) and earn a move to Kilmarnock. Russell had two years at Rugby Park until 2010 when he moved to the United States and played for first Carolina RailHawks and then Orange County Blues for four years until 2016.